Each SBA loan has its own unique story. Stearns Bank SBA lender Jeremy Goltz has witnessed his fair share of fast financing, but one particular deal from 2017 really stood out. Jeremy was introduced to Stephen Wolgamott through Stearns Bank’s relationship with Guidant Financial. 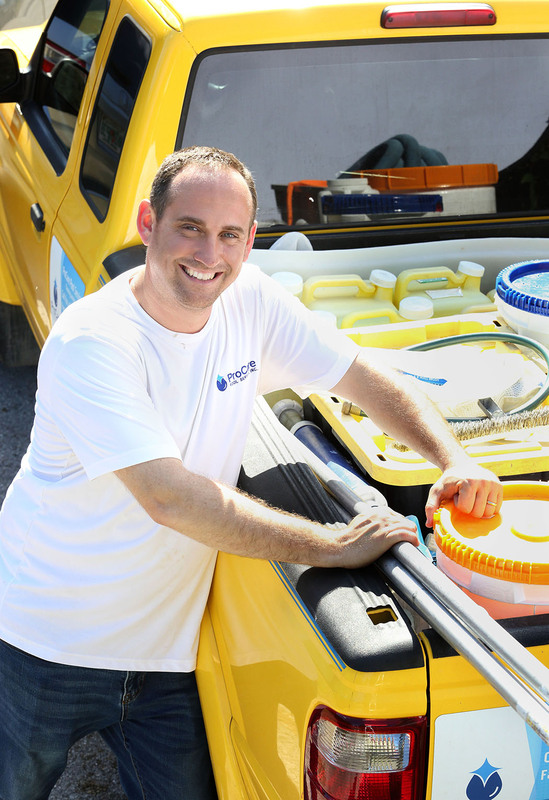 Stephen was looking to acquire an independent pool cleaning company called Pro Care Pool Service in Leesburg, Fla.
Once Stephen started working with Stearns Bank, the entire acquisition process took seven business days to complete. Stephen used Stearns Bank’s customer portal to upload the proper documents to help streamline the approval process. “When you close within two weeks of starting an acquisition, it’s greatly appreciated on the customer’s end,” Stephen said. “Jeremy and his team were great. They answered all of my questions and were always on top of things. I had spoken with other banks and it would have taken at least three months. Jeremy has witnessed the benefits that the portal has for Stearns Bank customers. He was happy that Stephen used it to its full potential. Stephen has big plans for Pro Care Pool Service Inc. He wanted to add a business that his family could run and possibly expand in the future. In a 45-mile radius around Leesburg, there have been 7,000 pools built in the past few years. Stephen’s data said that another 10,000 to 15,000 homes could have pools in the next two or three years. That means that 60 percent of the people within a 45-mile radius of Leesburg will have pools to be serviced. “We want to expand in Central Florida and I definitely foresee us getting larger,” he said. Stephen is a full-time pastor at a local congregation near Leesburg. He’ll rely on family and other employees to help in his new venture. “I’ll still have my full-time job. It’s going to take some getting used to, but my wife and I are ready to go all out for this. It’s just about organization and time management,” he said.